Book donations are by appointment. Donate at the Jersey City Free Books GoFundMe Page. Jersey City Free Books is a resource for students and serious readers. We cannot receive “light” fiction — Mysteries, Thrillers and Romances — or Self-help titles, cook books, children’s books or comic books. Since they can’t be used by current students, text books over three years old are not accepted, either. We also can’t take damaged books, encyclopedias or computer books more than a couple of years old. Students and other serious readers in your community urgently need these books: solid recent non-fiction, including college text books less than three years old and recent quality Fiction. Jersey City Free Books can use books on history, biographies of historical figures (not celebrities), dictionaries, language learning books and media, computer books less than three years old, recent technical and scientific books and books on photography or art. Jersey City Free Books is very happy to get old black and white photos — snapshots. Tropical fish magazines, bird magazines and pet magazines are great. Unfortunately, Jersey City Free Books can’t take any other periodicals. Unfortunately we don’t have a vehicle and so are not able to pick up books. If you are bringing a quantity of books, they need to be packed spine up in boxes that you can leave. The boxes for copy paper work great. We cannot accept a large number of books in garbage bags, loose or in containers that have to be returned to you. Here’s a Link to a PDF of a flyer for Jersey City Free Books. If anyone can print some out and then post them at school, work, the neighborhood, whatever, that would be great. If it’s possible to print a few extra and to bring them to Jersey City Free Books for us to hand out, WUNDERBAR! Children at Pag-Asa Island (Hope) Elementary School in the Philippines reading books from Jersey City Free Books.Contributions of any amount by PayPal are always welcome. 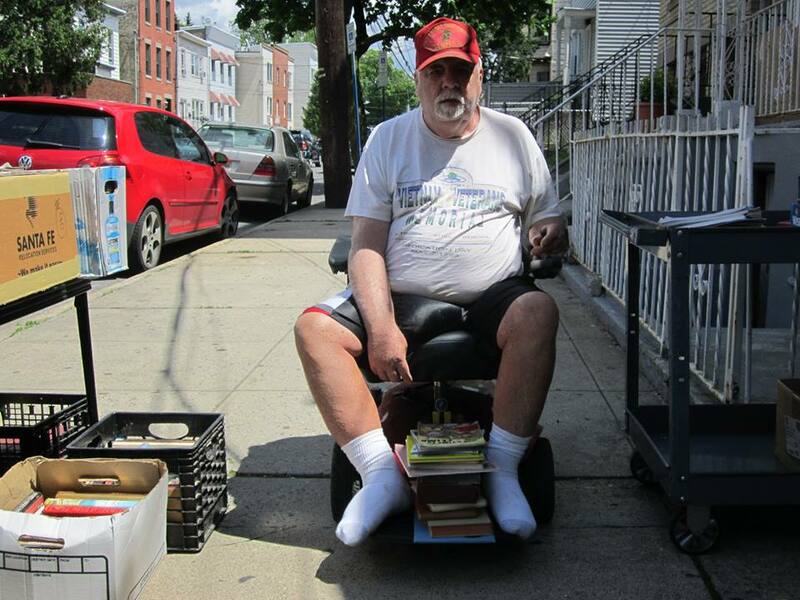 Meet Mattie, a great friend of Jersey City Free Books. He — and all his male relatives — served in the Armed Forces. Jersey City Free Books says “THANK YOU” to each and every veteran, but especially to our neighbors!Do you have household items, small appliances or anything else still in the box that you’re never going to use? Please consider donating these items to Jersey City Free Books. We urgently need to raise funds. Anything that we can sell or use as a promotion for crowdfunding will be GREATLY appreciated! Jersey City Free Books is a community book store that provides something to read without charge, obligation, registration or indoctrination. 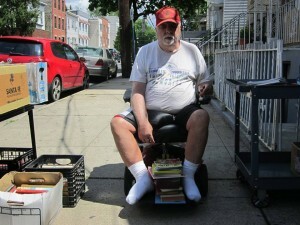 Jersey City Free Books serves seniors, students, the unemployed and working families. Thousands of books are available. Everyone is welcome to take any number of books for their reasonable, personal use. 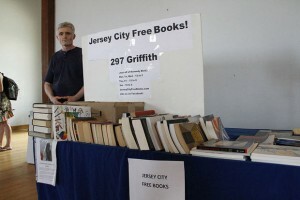 Jersey City Free Books is eager to assist local charities by providing quantities of books.